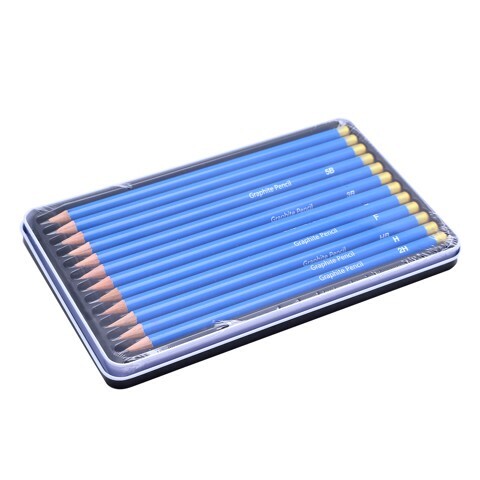 Graphite Pencils Tin Box 12Pk. 17.5cm (L) x 7cm (W) l 180gsm. Body of Pencil Is Blue. Soft Wood l Graphite . 180G Packaging: Hang Sell Tin Box with Shrink Wrap Inside .